So, where are you guys… living? When you hike the AT you have a few daily decisions to make. Which cliff bar to eat? To filter water now or later? To wear the pants or the shorts? But the most difficult and common decision you make daily is: where will we be hiking to today? In our guide book there is information about distances to campsites and shelters. Each has their pros and cons. Campsites tend to get you away from the crowds but due to a lack of description you can never be sure how big the campsite will be or exactly where it is. This can lead to problems, for example we decided one morning that we would hike to the Lance Creek Campsite that night, some fifteen miles away. When we rolled into camp around 5:30 we managed to snag one of the last two campsites… lucky us but not so lucky everyone else who showed up after us. Another problem we’ve had with campsites is that they’re not always easy to find. 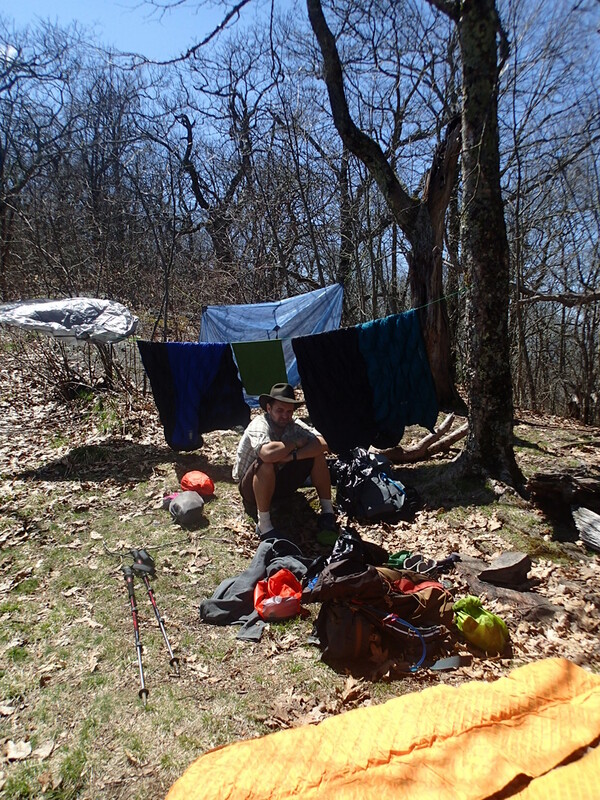 Three different campsites managed to evade us the day we stopped into Neels Gap (the first outfitters you come to on the AT). 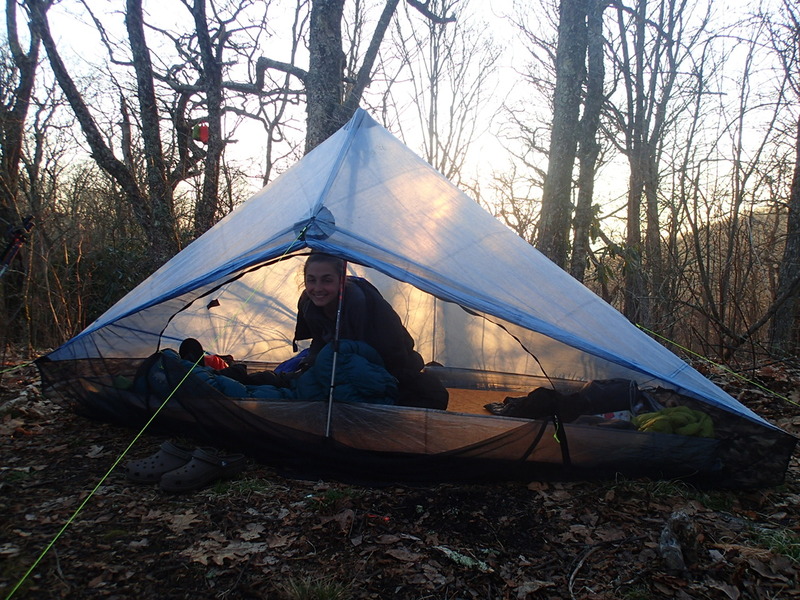 Having already hiked ten or eleven miles that day we decided to set up camp for the night at one of the three campsites between the outfitters and the closest shelter. After missing all three campsites we ended up going an extra four miles to the shelter after all, and we heard about it from our aching feet and joints the next day. Shelters are your other option and they are typically surrounded by flat spots for tent camping, so you can do either once you get there. Some people like shelters… we have been in the habit of avoiding them due to their semi-creepy aura and abundance of mouse droppings (I’m a hypochondriac and I know as well as any other that Hantavirus will kill you). But when bad weather is in the forecast it is basically a full on race from shelter to shelter. You begin to scheme about who is on the trail, where they will be staying, how many miles you need to do to get to the next shelter, and how early you will need to get up to get a spot. In the morning there is an exodus as people run, sleeping bags and boot strings trailing behind them, to make it to the next shelter before it fills up. Recently we bit the bullet and decided to grace a little shelter called Brown Fork with our presence. 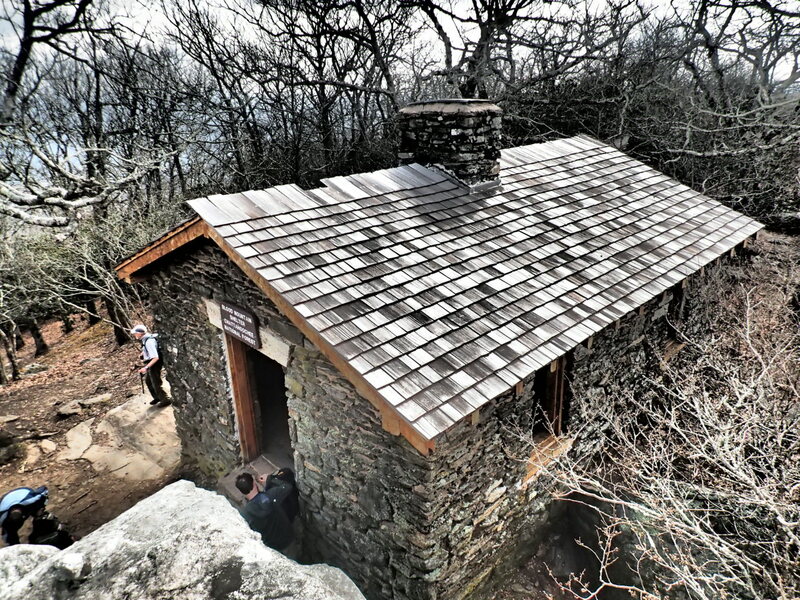 We managed to pick probably the oldest shelter still standing on the AT. Mice were running around the rafters in broad daylight, but the threat of thunderstorms that night was worse so we squeezed eight of us in and weathered the rain. Things went alright, especially for me because I have taken to sleeping with ear plugs and two ibuprofen PMs. I missed out on the mice chewing through a fellow hikers sock (not on his foot at the time but right next to his head). I also slept through Doc, who was using socks as missiles, in order to dissuade another hiker on the opposite side of the shelter from snoring. That’s basically how shelter nights have gone since then. 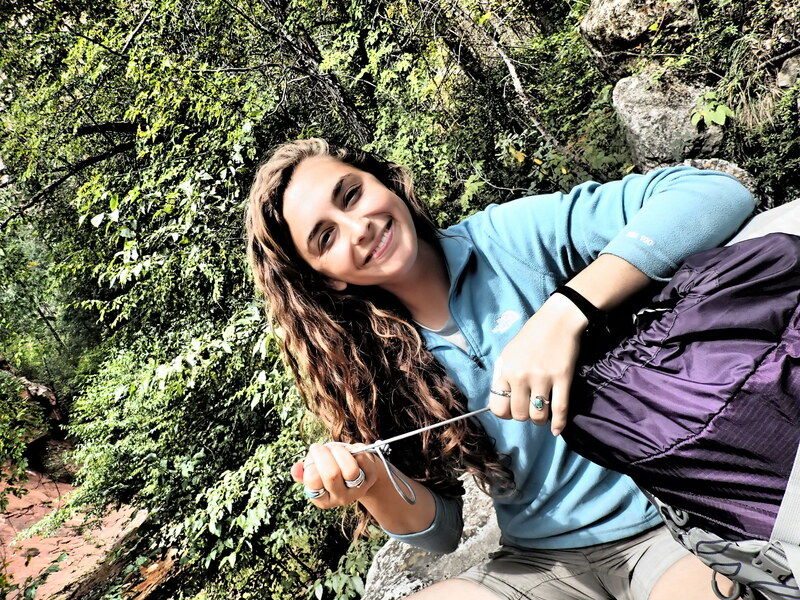 Mice reign, hikers accuse other hikers of snoring, and I sleep peacefully through it all. So where is our five hundred dollar tent in the mix of all this living, you might ask. 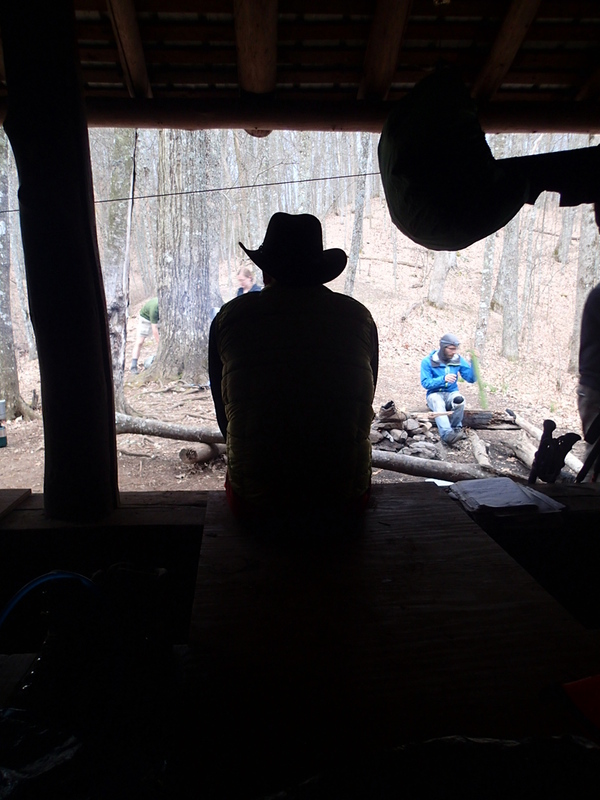 In campsites and around shelters we have been spending most of our nights inside our tent, coveting the facade of privacy it gives us (and it is LITERALLY a facade because the sides are see through). Although every day when we set it up the slope and height and shape of the inside is slightly different we have grown to love our tent and call it home. However, before I discovered earplugs neither of us was getting a very good night sleep. Kyle would be reading, I would doze off but when he put his book down and closed his eyes I would instantly be awake. Without him up keeping an eye on things every leaf rustle was a bear coming to drag me out of the tent and off into the woods. I don’t know how familiar you are with leaf rustles but the smallest of creatures can make the biggest of noises. I would wake out of a deep sleep by what seemed like a commotion across the camp ground. I would go still and press myself flat against the ground, trying to see out underneath the tent while holding my breath, listening closely for movement. Frozen in this position I wouldn’t move until I would hear Kyle say, “Lindsey, what are you doing?” “Um, nothing, just thought I heard something…”, “Go back to bed, it wasn’t anything at all, just a squirrel, trust me a bear would sound huge”. And back to bed we would go until twenty minutes later when another squirrel disturbed my slumber. After about four nights of very little sleep I started using earplugs and now I leave the bear listening to Kyle. Overall we are living on the trail, day in and day out the trail is our home. It may not be as comfortable as yours but every day we brush our teeth right where we eat breakfast, we stop to pee where ever we want, we have stars for our ceiling (as long as it isn’t raining), and the trail always presents us with adventure and change. Right now we like not being too comfortable. I’m the same way! Even at home, I sleep with ear plugs or I’ll think the leaves rustling or house creaking is a serial killer who will get me as soon as I shut my eyes or show my foot from under the covers. I keep leaving you messages, but not sure if I am getting through. Sure to love to read your posts and am saving all the pictures as well.